Damn Arbor: Kindlefest and Midnight Madness Tonight! 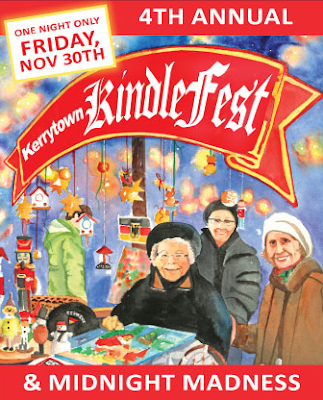 Kindlefest and Midnight Madness Tonight! In my own sphere, this post-Halloween/pre-Christmas season can be one of the most complained about. The general debauchery of Halloween fades into turkey comas and copious covers of Christmas songs. Ann Arbor makes this time bearable by having interpretations of the holidays that are just plain enjoyable. This evening, the Kerrytown Farmers Market and Shops are hosting Kindlefest from 6 to 9. The market goes through a transformation to get the feel of a traditional German market. Main street shops will be open until midnight as part of Midnight Madness. These are really great opportunities to get in holiday shopping while sipping wine and eating eats. Other events going on tonight include a children's lantern parade at the Market from 6:30 to 7:30. Lanterns will be available for $10 or feel free to bring your own. I also hear Santa will be at the market around 10am tomorrow.